DanceCraft partner dance studio offers group classes, private lessons, and social dances to practice and enjoy your growing dance skills with other enthusiastic dancers. Scroll down to learn more! 4-week series group classes are a popular starting point for beginning dancers. We teach a variety of dance styles, offering multiple classes per week in the styles used most at local social dances. Also watch for drop-in specialty classes, workshops, and intensives in a variety of fun and important dance topics! Private lessons are the most efficient way to learn to dance. Your professional instructor will focus specifically on your unique goals, challenges, and strengths. Each lesson is customized to you, not dictated by a standardized syllabus. Whether you are learning to dance socially, preparing for a special event, expecting to perform, or working to compete consider making private lessons a priority. 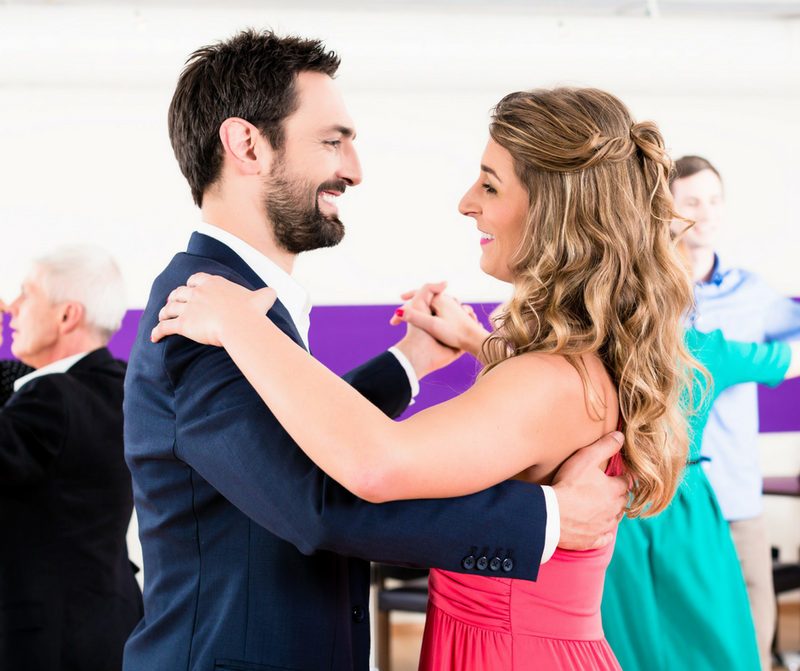 Social dancing is fun as well as an opportunity to practice what you learn in group classes and private lessons. Dancing with everyone is a great step to becoming a good dancer and allows you to participate in socials even if you are brand new and don't have a regular dance partner. Our social dances are Wednesdays from 8:00 pm to 10:00 pm and 2nd and 4th Saturdays from 8:00 pm to midnight. This lesson allows new students to visit our studio, meet our instructors, and determine whether DanceCraft where you would like to attend lessons and social dances. Limited to one lesson per person and subject to instructor availability.